Online Applications were invited for KMAT Entrance Examination for admission to MBA in Kerala. Visit the website kmatkerala.in. Start date for applying online is on 9th March 2018 5 PM and last date for applying online is on 7th June 2018 5 PM. Date of Examination is on 24th June 2018. How to Apply Online for KMAT Kerala 2018 Entrance Examination? Read the KMAT 2018 Instructions before applying online. 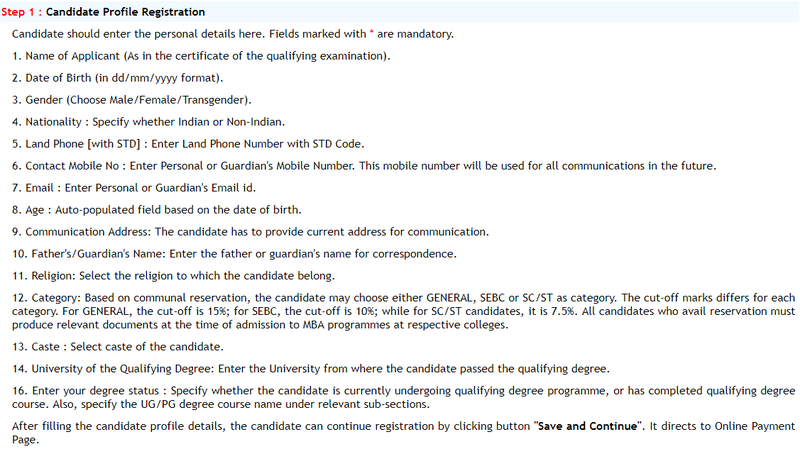 Candidate Profile Registration: Fill the Personal Details, Reservation Details, Qualifying Degree and click on Save and Continue. 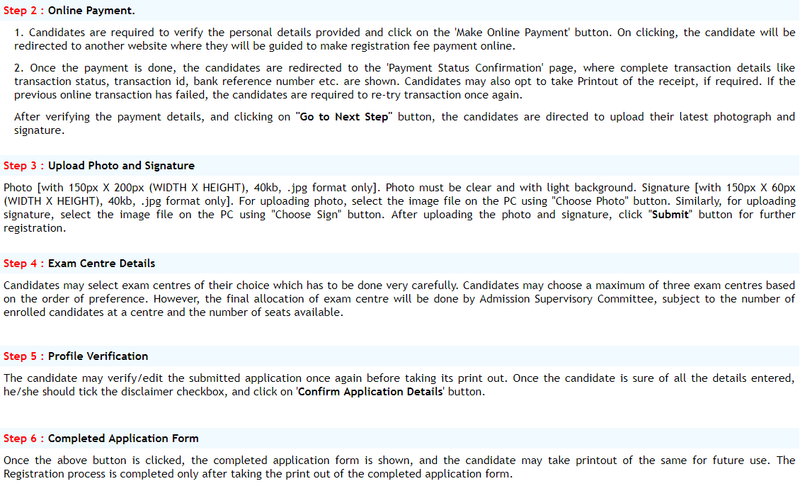 Online Payment: Click on Make Online Payment if the details displayed in the screen are correct. Select Net Banking / Debit / Credit Card and select the Bank and click on Proceed and follow the instruction. Once the payment is successful take a print out of the receipt. Profile Verification: Check the Filled Application Form and if found any discrepancy click on Edit and Update the same. If every thing is correct click on Confirm Application details. Take a printout of the Completed Application Form which is needed to bring at the time of Admission. Its better to change the default password to something else to ensure security. No need to send the hard copy and supporting documents to KMAT. Hard copy and Supporting document to be submitted at the time of admission.